Monthly subscription boxes are a great way to discover new products, and with such a wide variety of options there's a box for every interest and passion. And to help you find the perfect box, we've selected some of the best subscription boxes for women that are subscriber favorites. 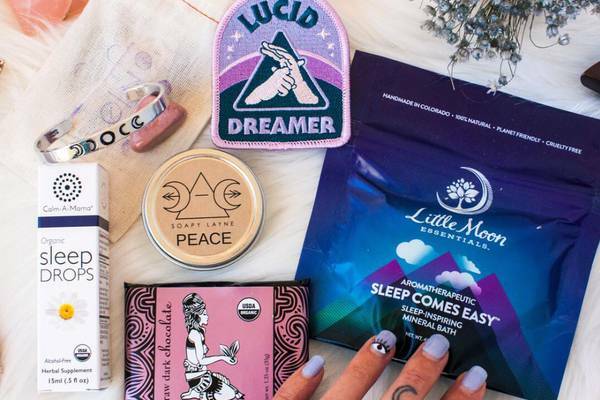 From beauty products and trendy jewelry, to healthy snacks and crafts, here are some of the most popular subscription boxes for women. Whether you’re looking to treat yourself or searching for the perfect gift for the women in your life, a curated monthly box delivers the goods. What's Included: Color Curate is the perfect makeup box for those who love to discover new and innovative beauty products and brands. Each month's subscription includes a new makeup bag filled with 4 full-sized color-intensive makeup products, like lipsticks and pencils, eye-shadow palettes and high-quality application accessories, all with a retail value of at least $80! What's Included: TheraBox is a self-care box thoughtfully curated by therapists who aspire to increase happiness and reduce stress. Each month's box includes 5-7 self-care products to help calm the mind and inspire joy, with items like organic skincare and bath products, aromatherapy, herbal teas and inspirational readings. Plus, each box includes one happiness activity to promote mindfulness. What's Included: The mintMONGOOSE subscription box features high-quality, stylish jewelry pieces at a great price. Each month's box includes 3 simple jewelry pieces chosen to match each subscriber's personal style. Simply choose between gold jewelry, silver or both, and whether you want earrings and watches with your subscription. Upgrade to the Black Box option, for 4 jewelry pieces plus 2 additional accessories like scarves, handbags and nail polish. What's Included: Bombay & Cedar is a self-care subscription box that’s packed with vegan lifestyle items chosen to promote relaxation and healthy, wholesome habits. Delivering 2 bottles of high-quality essential oils, along with 6-7 full-size luxury products like oil diffusers, home goods and snacks, enhance your everyday beauty routine, while fully supporting a vegan way of life. What's Included: Strive for wellness and balance in day-to-day life with Feeling Fab, a subscription wellness box that enhances the practice of mindfulness. Each monthly delivery features 5-7 premium full-size holistic and natural beauty items, like self-care products, tasty organic treats and accessories for meditation and yoga. What's Included: SinglesSwag is a women's subscription box curated especially for single ladies! Choose between the Regular Box for 5-7 full-size products or Petite Box for 3-4 full-size products. Each month’s box includes goods like natural body care, best-selling books and artisanal treats, guaranteed to bring out a smile. What's Included: FaceTory is the perfect skincare subscription for lovers of trendy K-beauty products, who also like a good deal. Available in 2 subscription levels, the FOUR-ever Fresh Kit and the SEVEN Lux Box, each monthly box is brimming with new products to try. Curated by sheet mask junkies, every box sends either 4 or 7 high-quality and innovative Korean sheet masks for a variety of skincare issues. What's Included: Everyone needs some time for reflection, and the Hopebox is a monthly subscription that aims to deliver just that. 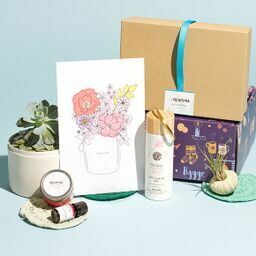 One of the most popular subscription boxes for women, each month’s box, available in 3 levels, brings encouragement to get through life’s journey with 6-15 handmade gifts crafted by talented artisans, from smile-worthy greetings to thoughtful personal-care items. Subscribers can expect items like beauty products, delicious snacks, candles, and art prints. What's Included: Calling all women who love putting a cynical snarky slant on things to help keep it all in perspective! The Smartass and Sass subscription box is right up your alley. Available in 3 options, box only, T-shirt only, or T-shirt and box, each month's themed dose of sass comes with hand-picked products (think mugs, bags, notebooks, and clothing) from artists and small businesses, that strive to deliver a laugh and a smile. What's Included: Stock the snack cabinet with the quick pick-me-ups packed into the SnackSack. Each monthly box brings 12 mindfully curated healthy snacks, perfect for a quick energy boost for long, busy days. SnackSack also offers vegan and gluten-free options, with both sweet and savory snacks, to ensure that there are tasty treats at the ready whenever the urge to snack strikes. What's Included: Treat both your inner and outer goddess to nothing but the best with the Goddess Provisions box. Thoughtfully curated to enhance any spiritual practice, each monthly box includes 4-6 full-size items, including 100% vegan and cruelty-free apothecary beauty products, superfood snacks, empowering crystals, aromatherapy, teas, books and more. What's Included: CrossFit has become a lifestyle that is all about making physical fitness a priority. Celebrate healthy living each month with the Barbella Box, a fitness subscription that's packed with 4-6 handpicked products from both well-known suppliers and those that are new on the scene. From supplements and snacks, to apparel and workout gear, this box is created by women, for women, for an added dose of motivation. What's Included: Add exquisite jewelry with a personal touch to any collection with the Jewlybox subscription service. Featuring premium jewelry that’s handpicked to match anyone’s personal style, each subscriber takes an individual style profile, then receives necklaces, rings and bracelets thoughtfully curated to those specific tastes and style preferences. What's Included: Start on the path to a plant-filled home with plenty of Boho-chic style with the House Plant Box. Delivering more for less, each monthly box packs a curated selection of healthy, unique house plants, air plants and succulents, along with plant care instructions and extras like pots or fertilizer. Bring the outside in to create a lush, clean environment that’s perfect to promote health and happiness. What's Included: The Adults & Crafts Crate is a subscription box that delivers unique craft projects each month. Arriving with everything that’s needed to make a trendy, Insta-worthy craft or DIY project, unbox all the materials, accessories, tools and step-by-step instructions to get inspired and dive right into crafting a functional piece of art, including wooden crafts, painting projects and unique pieces of home decor. What's Included: LipMonthly is one of our favorite beauty subscription boxes, perfect for lovers of all things lip. 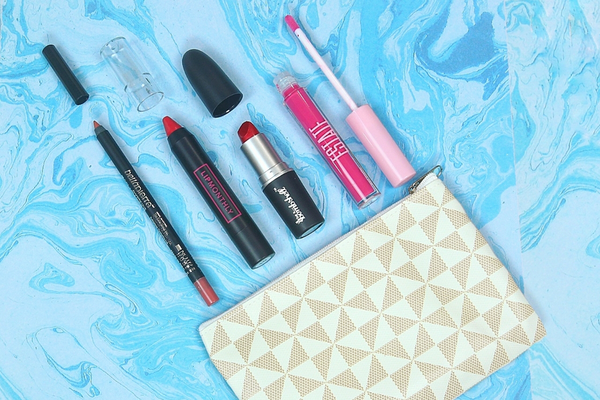 Each monthly subscription includes a new makeup bag packed with 4-5 full-size lip products. Unpack a little bit of everything, including colorful lipstick, gloss, nourishing balms, liners, scrubs, pencils and crayons. Plus, subscribers can fill out a beauty profile to receive products in their preferred colors and shades. 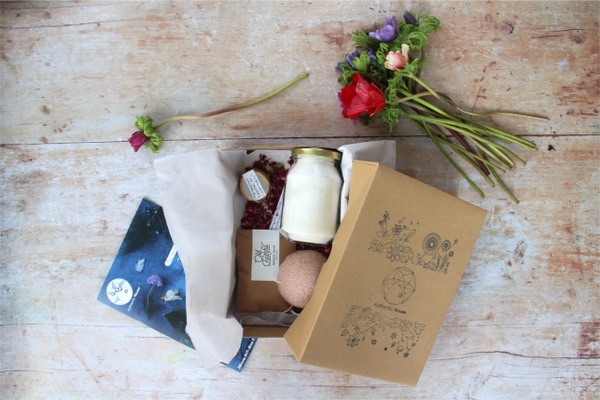 What's Included: For all those looking to bring positive energy into their life and home, there’s the Awakening in a Box monthly subscription. Available in 2 levels, the Awakening contains 3 crystals and 2 mindful products, like healing herbs and essential oils, and the Enlightened contains 5 crystals and 4-6 products. Both subscription levels are intentionally designed to support a journey towards enlightenment. What's Included: Beauteque Monthly is a wellness and beauty subscription box that delivers the best in K-beauty skincare. The Mask Maven subscription includes a variety of 9 sheet masks, and the Beauty Box includes skincare, makeup, hair care, beauty tools, and more. Both options include an information card with detailed how-to-use instructions. A great subscription service to discover new products. What's Included: One of the finest vegan beauty boxes around, take any daily routine up a notch or 10 with Laurel & Reed. A luxury-curated, non-toxic, and cruelty-free beauty and wellness box, unpack 4-6 full-size products, like tools and accessories, bath scrubs, skincare essentials, makeup, and more, delivering a minimum retail value of $100! What's Included: Delve into a world of wellbeing with Enchanted Crystal, sending curated crystals and minerals from across the globe. Choose from the Crystal of the Month plan, delivering a single stone, or the Crystal Variety Box that includes a mix of 4-6 crystals and a handcrafted cloth grid. Hand-selected with intention and packaged in eco-friendly materials, and both subscription options include a bonus assortment of mini crystals and minerals. For more great options, browse our full selection of women's subscription boxes!